Pattern can be made with sport or worsted weight yarn. 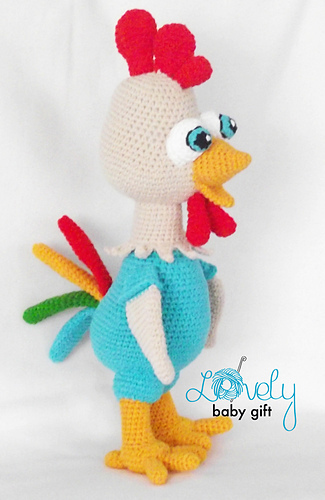 The finished rooster size is about 14 inch (35 cm), when done with sport weight yarn and size C crochet hook (2.5-2.75 mm ). 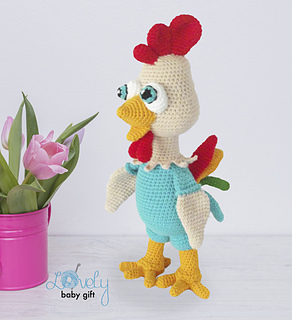 The size of rooster may vary depending on the size of hook and yarn you use.